Coley Avenue was once the main entrance to the estate and this page is dedicated to documenting (in both words and many images) the changing look of this avenue, from a dusty lane to a popular residential road. From at least the 16th century, the main entrance to the original Vachell House and Coley Park Farm was by way of a lane which ran from the intersection of Bath Road and the top of Castle Hill in a fairly straight line to the manor. We know that prior to 1800 the lane was already tree-lined and flanked on both side by open meadows. On the Castle Hill side of the main entrance were the remains of a much older nursery garden. Some of the meadows surrounding the lane were known as Upper Garden, Eleven Acres and Cockshot Field. Originally the lane was known as Coley Walk or Coley Lane before officially being named Coley Avenue. During the 19th century, security to the estate was upgraded. A lodge was built at the main entrance to vet visitors. Later (c1870) stone gateposts were erected on each side of the entrance and they were topped with winged dragons (known as Wyverns). These large gateposts lasted until the 1990's when they were removed to widen the Bath Road intersection. In the late 19th century a turnpike was built nearby the entrance for the collection of road tolls for traffic traveling the Bath Road in and out of Reading. 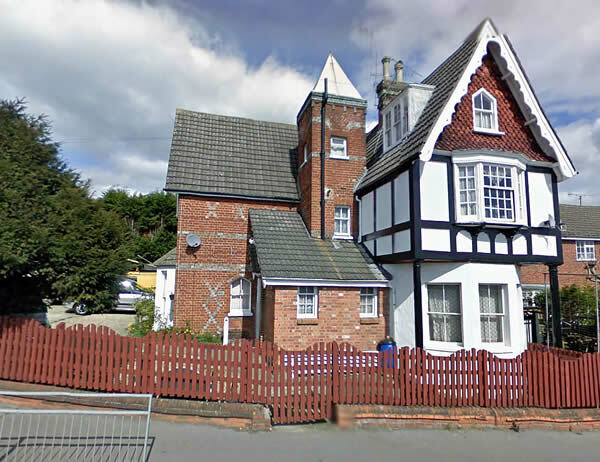 Further down Coley Avenue, just prior to the entrance to Coley House (now a private hospital), were erected two more lodges, known as the East and West Lodges which remain privately occupied to this day. As the housing developed along Coley Avenue in the early 20th century, the then tall and overgrown trees that had lined the avenue were completely removed in 1905 and replaced with new saplings. These saplings have now themselves grown into the aged trees that line the avenue today. Thankfully the local Reading council keep the trees trimmed so that they don't become too overgrown and unsightly. Coley Avenue was popular with photographers especially at the main gate entrance and around the early 1900s when postcards were becoming a very popular and trendy alternative to letters. Many of the images in the gallery below are from postcards of the time. When John McConnell purchased Coley Park estate in 1802, the avenue was already tree-lined all the way to Coley Park Farm. There were sweeping meadows on both sides of the avenue and the avenue itself was a dusty unsealed narrow lane. Over the next hundred years, the meadows on Coley Avenue nearest to Bath Road were sold as small parcels of land to wealthy private purchasers for the building of luxury homes. Many of these homes were of substantial size and quality, although not as large as some existing properties on the nearby Bath Road. In 1860, Samuel Collier (Brick and Tile maker) and his wife Jane, purchased land on the west side of Coley Avenue from the estate owner, John Bligh Monck of Coley Park. Their house named 'Westbourne Villa' was built in 1862 on the west side of Coley Avenue (It still stands today near the northwest corner of the Coley Avenue and Berkeley Avenue intersection). 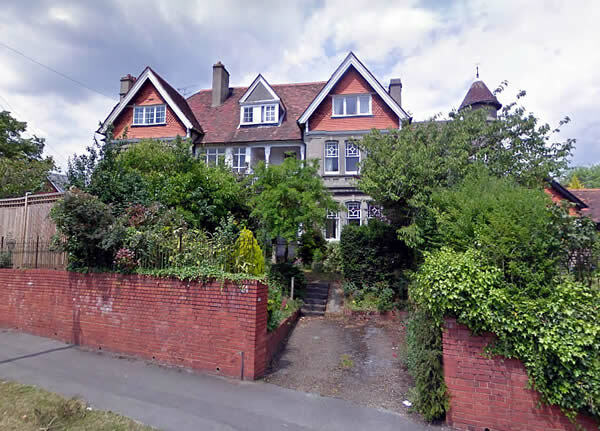 In 1863, Samuel and Jane Collier, built another house on Coley Avenue called 'Enbourne Villa', which was renamed to 'Park Villa', and later 'Parkfield'. In 1875 the house was sold to George Carley. In 1894 the house was purchased by Charles Kaines Thomas of Henley, Oxon. By the 1880's the a number of residencies were located on Coley Avenue. You will notice they only had house 'names' (no street numbers) and were mainly on the west side of the Avenue. 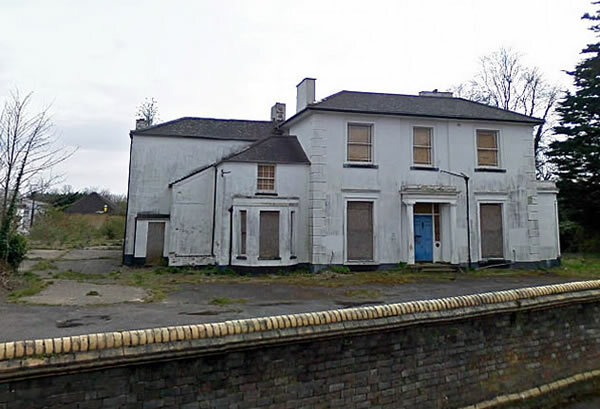 On this side were: 'Westbourne Villa' (1862), 'Weddington House', 'Mansefield', 'Park Villa' (1863), 'The Elms' and then finally 'The Lodge' near the intersection of Coley Avenue and Bath Road. On the east side was a small cottage (lodge) protecting the entrance to Coley Avenue and the large Castlehill House (now Yeomanry House), and then there was nothing but open field until 'Avenue Villa'. In 1903, when horse-drawn trams were replaced by electric tramcars, the service was extended to Bath Road. All the tramcars were four wheeled and the top decks were open. A tram stop was provided at the intersection of Coley Avenue. By 1904 the service between Bath Road and Broad Street ran every 10 minutes, thus providing quick transport to the town for the residents of Coley Avenue. Unfortunately the first line to close was the Bath Road branch in 1930. 'Avenue Villa' was built near the access way (now incorporated into Berkeley Ave) to Avenue Works Kilns (then still in production). The villa still survives today on the northeast corner at the intersection of Berkeley and Coley Avenues (see image above). The other villas except 'Westbourne Villa' have all since been demolished and newer, smaller buildings have taken their place. 'Westbourne Villa' when originally built was accessed from Coley Avenue (as the Berkeley Avenue did not exist). Today 'Westbourne Villa', built in 1862, sits proudly on Berkeley Avenue and has survived a number of attempts to demolish it over recent years. Castle Crescent which runs off Coley Avenue, only had housing on the south side of the street in 1880. The housing was detached or semi-detached with large gardens. The earlier homes being stuccoed with italianate details, and the later buildings being built from red and blue brick with heavy decorating. There was a small Church of England vicarage at number three, located at the corner of Coley Hill and Castle Crescent, named Greyfriars Vicarage. According to the 1901 census, the vicarage was occupied by the Reverend Seymore H. Soole, along with his wife Laura and their three children, Warwick, Godfrey and Irene. Elizabeth Priestley was the governess, Rachel Williams the cook, in addition to two servants Edith Trevor and Rose Garratt. The house has been sitting abandoned for a number of years when the photo was taken in 2013. Originally located at numbers 15 & 17 Castle Crescent was a Girls School. Students in 1901 comprised of about twenty-five girls aged from 11 to 17 years. The principal was Mary K. Bath. This abandoned house at 3 Castle Crescent was originally Greyfriars Vicarage. The building is heritage listed. As I mentioned previously, the avenue was tree-lined during the 19th century with many of the trees over 150 years old. There had been little trimming of branches during this period and many of the trees had huge trunks and easily reached heights of more than 60 feet (18 metres), with branches that meshed together with the trees on the opposite side of the avenue. Around 1905 due to increasing pressure from the new residents of Coley Avenue, the then Borough Council cut down the avenue of trees and replanted new trees, whilst at the same time taking the opportunity to widen the road. These are the trees that line the avenue today and are now maintained by the RBC when then require pruning. If you browse through the gallery of images below, you can see the changes mentioned.